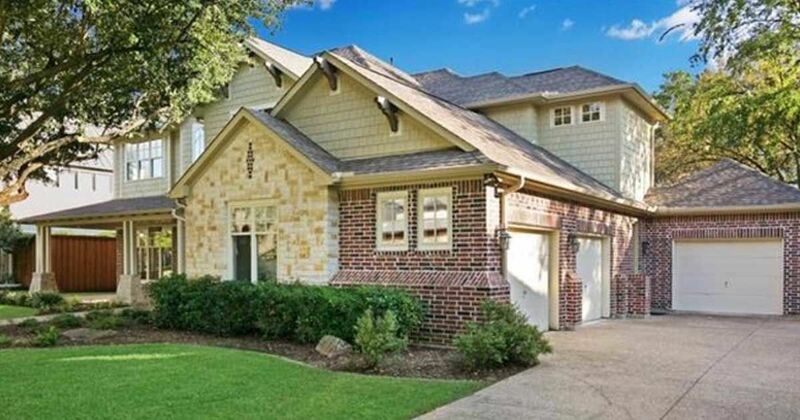 Located in Dallas, Texas, this gorgeous Craftsman home is valued at $1.1 million according to the Redfin. At approximately 4300 square feet, it's just the right size for a family, and the interior is a cheerful blend of modern and traditional. 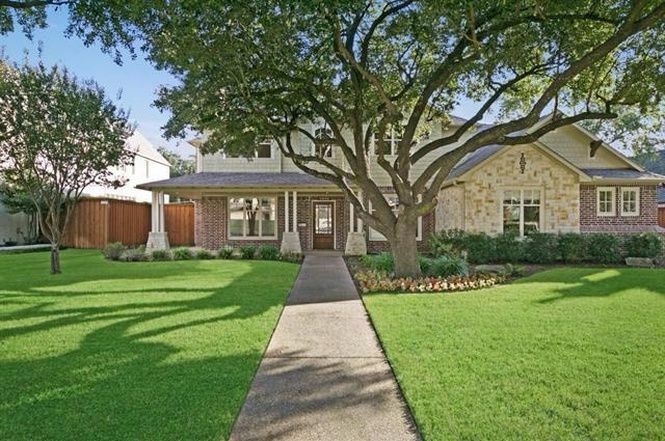 At the front of the home, a charming footpath leads through the manicured lawn to arrive at the large front porch. In typical Craftsman fashion, the exterior of the home has a beautiful mixture of sidings: stone, bricks, and shingles. 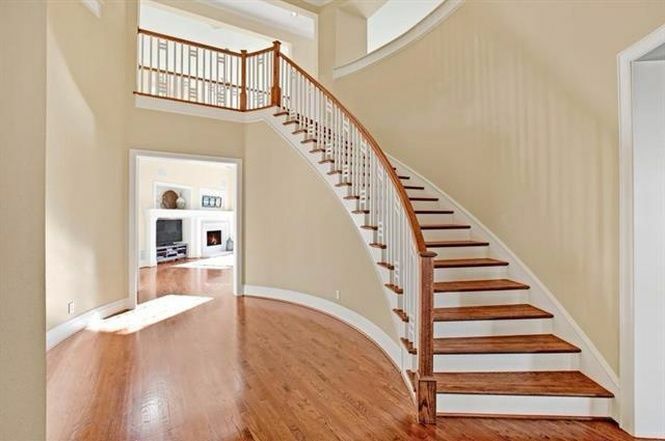 Once past the front door, you will see this graceful staircase, which leads up to the second floor. The high ceilings here in the foyer hint at the lovely sense of spaciousness that prevails throughout the rest of the home. 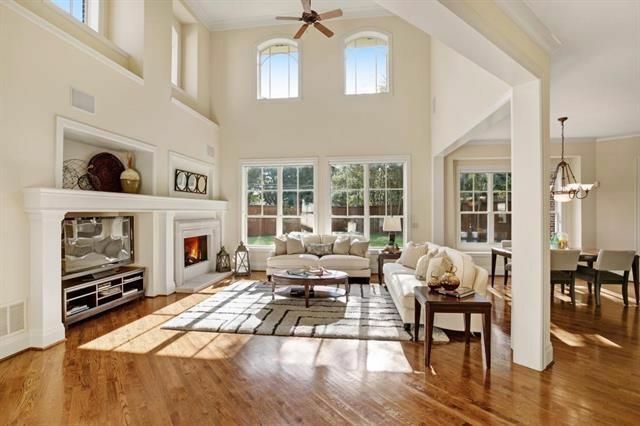 The living room is elegant and spacious, with lofty ceilings and two stories of windows. The large partially paned windows at the back of the room add a touch of Craftsman flair, and the cozy fireplace on the left makes the room nice and cozy. Here we have the kitchen, which has a charming country feel to it. 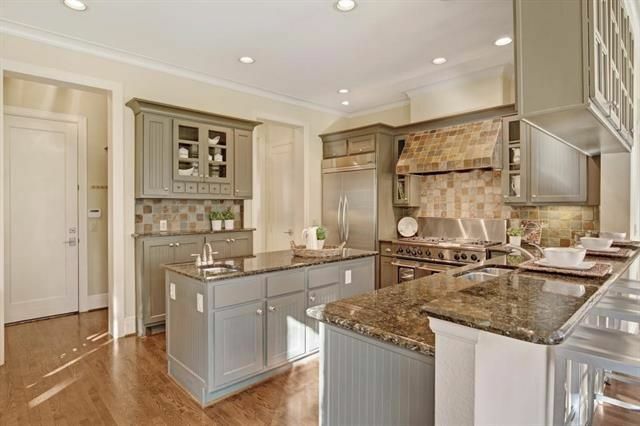 It boasts high-quality granite counter tops and stainless steel appliances, and the fact that it has both an eating bar and a large island means that there's plenty of space for cooking and socializing. 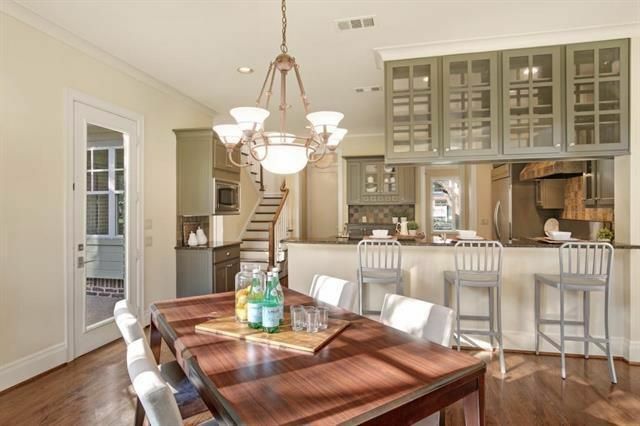 The dining area is right next to the kitchen, and it has a cozy, intimate feel. A glass door off to the left leads to the patio outside, and a gorgeous light fixture above the table gives the room a touch of elegance. The gorgeous master bedroom has plenty of space for a king-sized bed, and it has soothing cream walls with white trim. The room features a lovely tray ceiling and double doors on the left lead to the en-suite bathroom. This small sitting area is found in the bedroom as well. 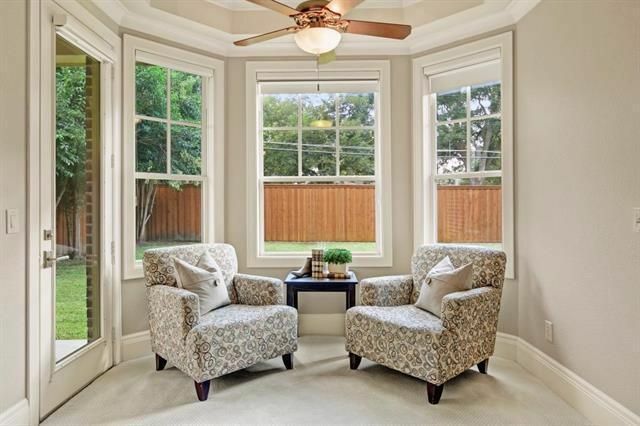 A glass door leads to the patio outside, and a partially paned bay window fills the space with natural light. 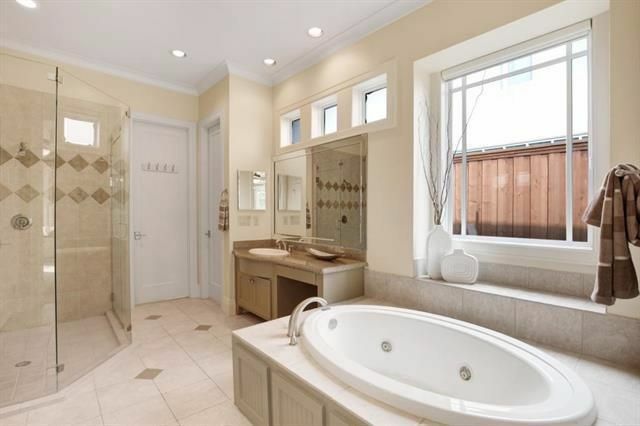 The luxurious master bathroom has a glass-walled shower, a soaker tub, and a large window right next to the tub. A row of smaller windows above the sink add visual interest and bring more light into the space. The side of the home is just as gorgeous as the front, and it shares the same attractive combination of brick, stone, and shingled siding. From this angle, you can see that the house boasts a three-car garage. 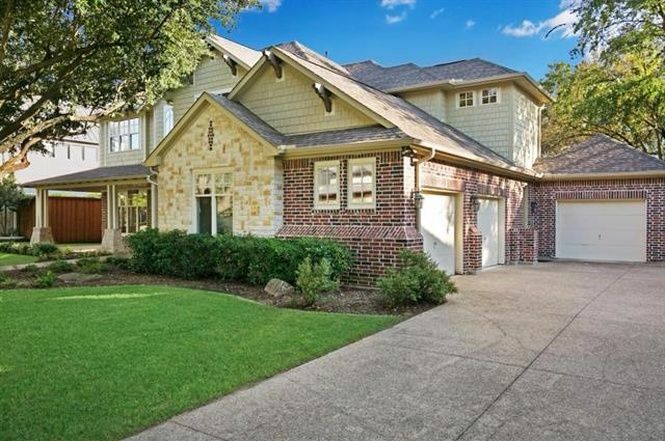 What was your favorite part of this beautiful home? Let us know in the comments on Facebook, and be sure to share this article with your friends if you loved it!